﻿"The people of this country, if ever they lose their liberties, will do it by sacrificing some great principle of government to temporary passion. There are certain great principles, which if they are not held inviolable, at all seasons, our liberty is gone. If we give them up, it is perfectly immaterial what is the character of our sovereign; whether he be King or President * * * we shall be slaves. It is not an elective government which will preserve us." 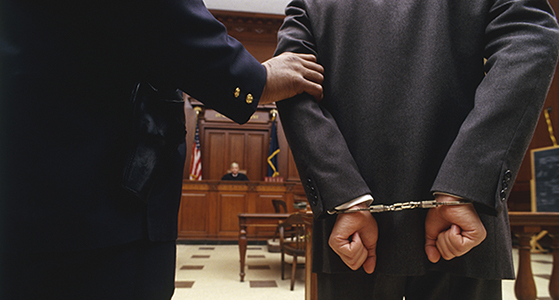 Roger C. Wilson represents clients in many different areas of criminal law and governmental enforcement activity. He is an appointed member of the Criminal Justice Act panel of the United States District Court for the Northern District of Georgia in Atlanta, pursuant to which he represents individuals in a wide variety of criminal matters in the federal courts of Atlanta and northern Georgia. He has successfully defended clients in federal and state criminal jury trials in “white collar crime” cases like securities and mortgage fraud and in many “blue collar crime” cases, including driving-under-the-influence (DUI) cases. While we are always ready to take cases to trial to defend our clients' interests, we also are energetic and creative in seeking ways to obtain relief for our clients short of trial. Roger also has successfully negotiated with government authorities in many instances to obtain reductions and dismissals of pending criminal charges against clients and also to have threatened criminal charges avoided altogether. He also has successfully represented clients at the post-conviction level, obtaining new trials, sentence reductions, and appellate reversals of convictions in cases he had not handled at trial. In addition to handling criminal cases brought or threatened by federal and state prosecutors, Roger has represented numerous clients in negotiating with federal government agencies and enforcement officials to reduce or avoid altogether criminal and civil punishments under various areas of federal law, such as customs and import fraud, the Foreign Corrupt Practices Act, Export Control Regulations, Antiboycott laws, the Foreign Agents Registration Act, and the International Traffic in Arms Regulations. Roger has conducted and participated in internal corporate investigations involving some of these areas. He also has prepared and worked with corporate clients to implement internal corporate compliance programs designed to avoid possible violations of the laws in these areas. He has represented a client subpoenaed to testify before a U.S. Congressional Committee in connection with the Savings and Loan crisis, and has advised and represented a foreign government in connection with a Congressional investigation of an international banking fraud matter.